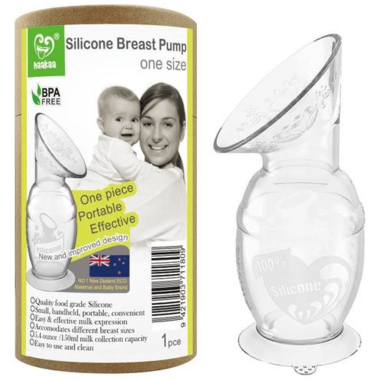 They've updated the famous Haakaa Silicone Breast Pump! Although it works in the same way as the original Haakaa breast pump, their new pump has a few added features to make your life that little bit easier. 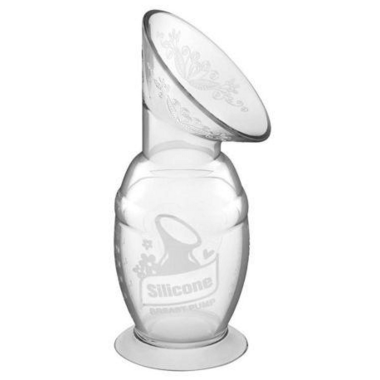 Available in two larger capacities of 100ml and 150ml, and with a new suction base that sticks to flat surfaces to prevent accidental spills, it is the easiest and most simple way to express breast milk. Its strongly recommended to clean and sterilize your Haakaa Breast Pump with any steam sterilizing system or by boiling in water for 3-5 minutes. Do not use any bleach-based agents or sterilizing tablets to clean this product. Do not use UV sterilizers to clean this product as it may impact the lifespan of your pump.